Customers from Harrisburg, Pennsylvania who buy wheelchair vans through our hallmark Buy-from-Home program can have their vans delivered right to the front door of their home or office by AMS Vans. 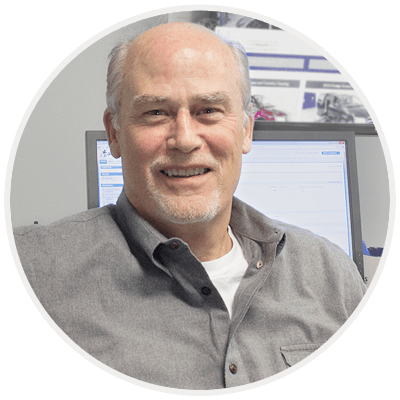 When you participate in our online sales opportunity, we put you in touch with an expert mobility consultant who will work with you throughout the entire process. Once the sale is complete, we will bring your wheelchair van to anywhere you wish in the Harrisburg, Carlisle, Middletown, and Hummelstown, Pennsylvania area! Have a mobility professional haul your wheelchair van on a flatbed trailer to your home or office in Harrisburg, PA! For an economical option, customers are welcome to come to our sales office in Atlanta, GA to drive their wheelchair van home themselves. In addition to no delivery fees, customers from the Harrisburg, Carlisle, PA area who travel to us to drive their handicap vans home will receive a pick-up discount in most cases. In order to be sure every experience you have with your wheelchair van from AMS Vans is the best possible from the get-go, our mobility professional will provide our complimentary "White Glove Service" when we deliver. During this signature service, we will demonstrate all the original and adaptive features of your handicap van, go over important safety and upkeep tips, and answer all your questions. Every handicap van we deliver to Harrisburg, PA is backed by our absolute satisfaction guarantee. If, at the time of delivery, you feel as though your handicap van wasn't accurately represented to you, we will return the van to our lot, void the sale, and issue a refund. If you would prefer a third-party opinion, make an appointment with a mechanic; we'll meet you there and wait while an inspection is completed. In addition to selling high-quality wheelchair vans, AMS Vans also buys used accessible vehicles <i>and</i> considers them for trade-in on an AMS Vans wheelchair van. Using several respected resources like Kelley Blue Book, we offer some of the highest payouts in the industry! Our mobility professional will pick up your accessible vehicle for direct sale or trade when we deliver your adapted van from AMS Vans in Harrisburg, Pennsylvania. If you would prefer to sell your vehicle privately, all customers of AMS Vans can list their used accessible vehicles on our nationwide mobility classifieds for one month free! 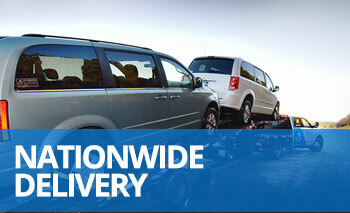 Contact a mobility consultant at 800-775-VANS to receive a free, no-obligation consultation Monday - Friday. We will help you decide on the best style of handicap van for your needs, and then, point out several matches from our inventory for you to evaluate. Your most difficult decision will be picking just one favorite! We are proud to be one of the top dealers in the country, and we look forward to delivering a new or used wheelchair van to your home or office in Harrisburg, Pennsylvania soon!